VANCOUVER , Dec. 14, 2018 /CNW/ - CANNAMERICA BRANDS CORP. ("CannAmerica" or the "Company") (CANA.CN) is pleased to announce that its submission of Form 211 to FINRA has been cleared and the Company's shares now qualify for trading in the United States on the OTC Pink Market. The company is applying to upgrade to the OTCQB® Venture Market. This development paves the way for the Company's shares to be traded in the United States on an established venture focused exchange and gain access to a much larger investor base. "We see this as an exciting step towards US investors being able to participate in what we see as a great American branded business," said Dan Anglin, CannAmerica Co-Founder and CEO. 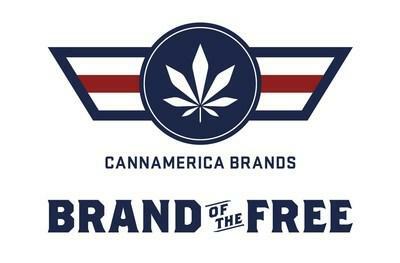 CannAmerica Brands is a U.S. marine veteran founded and operated portfolio of cannabis brands with licensing agreements in the states of Colorado , Nevada and Maryland . The Company aims to maximize the value of its brands by employing strong brand management teams, marketing and licensing the brands through various distribution channels, including dispensaries, wholesalers and distributors, in the United States and internationally. The Company's core strategy is to enhance and monetize the global reach of its existing brands, and to pursue additional strategic acquisitions to grow the scope and diversity of its brand portfolio. Cautionary Note Regarding Forward-Looking Statements: This release includes certain statements and information that may constitute forward-looking information within the meaning of applicable Canadian securities laws or forward-looking statements within the meaning of the United States Private Securities Litigation Reform Act of 1995. All statements in this news release, other than statements of historical facts, are forward-looking statements and contain forward-looking information. Generally, forward-looking statements and information can be identified by the use of forward-looking terminology such as "intends" or "anticipates", or variations of such words and phrases or statements that certain actions, events or results "may", "could", "should", "would" or "occur". Forward-looking statements are based on certain material assumptions and analysis made by the Company and the opinions and estimates of management as of the date of this press release. These forward-looking statements are subject to known and unknown risks, uncertainties and other factors that may cause the actual results, level of activity, performance or achievements of the Company to be materially different from those expressed or implied by such forward-looking statements or forward-looking information. Although management of the Company has attempted to identify important factors that could cause actual results to differ materially from those contained in forward-looking statements or forward-looking information, there may be other factors that cause results not to be as anticipated, estimated or intended. There can be no assurance that such statements will prove to be accurate, as actual results and future events could differ materially from those anticipated in such statements. Accordingly, readers should not place undue reliance on forward-looking statements and forward-looking information. Readers are cautioned that reliance on such information may not be appropriate for other purposes. The Company does not undertake to update any forward-looking statement, forward-looking information or financial out-look that are incorporated by reference herein, except in accordance with applicable securities laws.